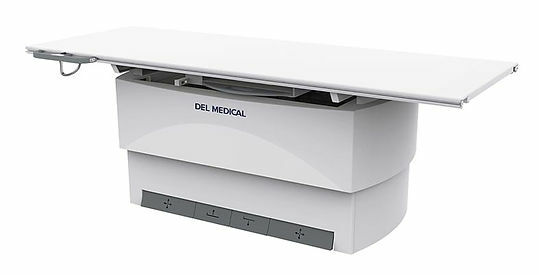 The OTC18T Radiographic System delivers enhanced patient comfort and optimized workflow. 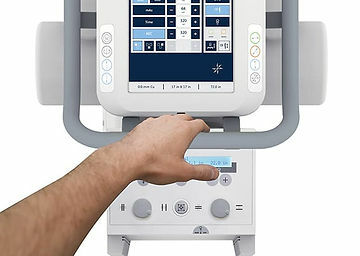 Precisely designed to withstand high volume throughput in hospital radiology departments, medical imaging centers and large orthopedic facilities, the OTC18T performs exceptionally well in a broad range of radiographic studies. The OTC18T tube crane highlights an advanced, technologist friendly 10.4" touchscreen console which provides seamless system integration by displaying tube angulation, SID values, and generator control options. Color-coded movement identification buttons provide optimal precision when setting up views. Peaceful and effortless movements are controlled by an electromagnetic braking system enabling fast and secure readjustments of the tube head. 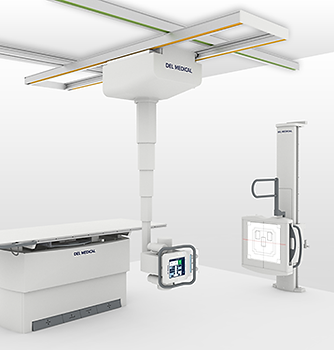 Its five-tier telescoping column delivers exceptional vertical movement of 71” (180 cm), capable of performing complete head-to-toe radiographic procedures including upright weight bearing and recumbent table top exams. between the X-ray tube and image receptor. Available functions include vertical tracking to the wall stand, SID tracking to the elevating table, or horizontally positioned wall stand. 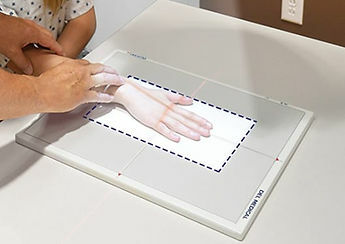 The result is quick, accurate alignment without the extra time and effort needed to make additional manual adjustments. the technologist. This makes the VT300 accommodating to all users regardless of size or strength. 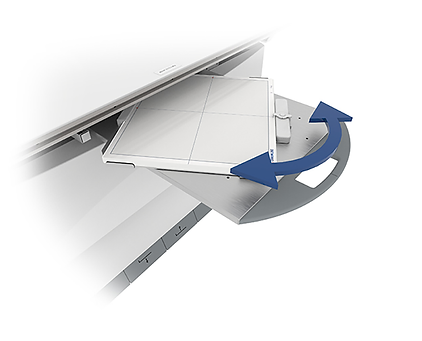 The easy-to-use rotating tray enables manual rotation of the DR detector for use inside all Del manufactured tables and wall stands. 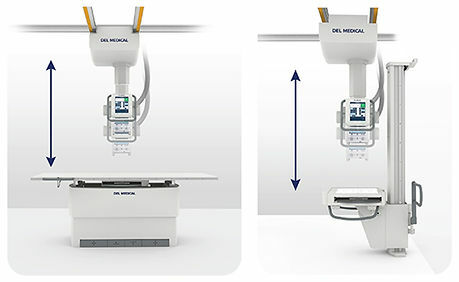 Stable one-handed operation supports fast portrait to landscape positioning without ever removing the detector from the tray. Fully extended steel slides activate locking mechanisms to assure detector protection when loading and unloading. Designed to accommodate a wide array of ISO 14 x 17” cassette-sized detectors.